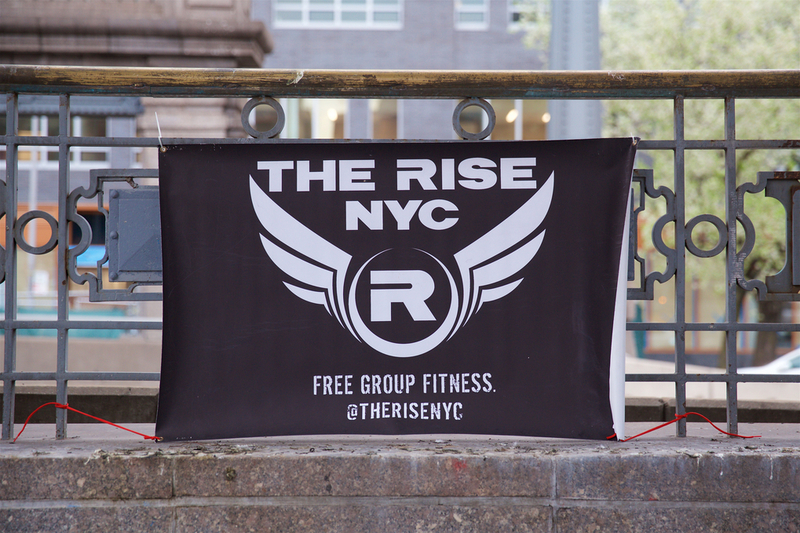 Yes, this is a new blog post from The Rise NYC. No, you are not dreaming. Rather than go through the old site and restructure it around our current needs, we decided to start from scratch. The new website places a greater emphasis on our community and the traditions that have come out of a rich five years of Rise history. It tells a story – a story that smells like friendship and tastes like sweat. That’s a good thing, trust us. We’ve added the ability to RSVP to the next event on Meetup straight from each workout page! Check out the example above. See that green RSVP here! button? That will take you right to the Meetup page for the next HIIT workout, where you can RSVP. Easy peasy. The site is mobile-friendly – try visiting it on your smart phone! So check it out…if you aren’t already reading this blog post from there! The Rise recently got its hand on a nifty little device called the Silhouette CAMEO 3. It’s an automated cutting tool: just use the companion software to design a pattern you want to cut, feed your material of choice into the machine, and press start! So at the end of May, a team of Rise leaders collected a few dozen shirts for a Rise tagging experiment. We got our machine to cut the Rise logo onto some heat transfer vinyl and ironed those babies on. After just a few hours of work and pizza consumption, we were done! Check out our new website, and subscribe to our blog to get updates on other Rise goings-on. And most importantly, set your alarms, because all this stuff means nothing without our daily workouts! !